A complete feed for sows during pregnancy and after farrowing. Also appropriate for feeder pigs weighing from 40 to 80 lbs. Manufactured in mini-pellet form to enhance intake and reduce waste. Grain products, plant protein products, animal protein products, processed grain byproducts, dicalcium phosphate, monocalcium phosphate, calcium carbonate, salt, L-lysine, copper sulfate, ferrous sulfate, zinc oxide, zinc sulfate, manganous oxide, manganese sulfate, ethylenediamine dihydriodide, basic copper chloride, sodium selenite, vitamin A supplement, vitamin D3 supplement, vitamin E supplement, vitamin B12 supplement, menadione sodium bisulfite complex, riboflavin supplement, d-calcium pantothenate, niacin supplement, choline chloride. Feed Formax 18% Sow & Pig to bred sows at the rate of 4 to 6 lbs. per day according to body condition. Feed to lactating sows at the rate of 8 to 12 lbs. per day. 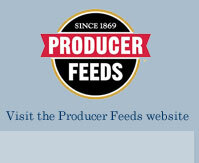 For feeder pigs, feed as the sole ration to pigs weighing from 40 to 80 lbs.